Edible Landscapes serve those in Central Florida that may be outside our in-ground Farmlette Program’s biking range that makes it easy for you to grow food for your family and friends. We build and maintain raised garden bed installations, and fruit trees to grow more food and less lawns in Orlando, Florida. Check out our Gardening Resource here to get excited about growing food! Bring attention to your home or office with a Fleet Farming Raised Garden Bed. Our team installs raised beds fitted with drip irrigation on a timer, soil, seeds, plants, and a gardening guide. 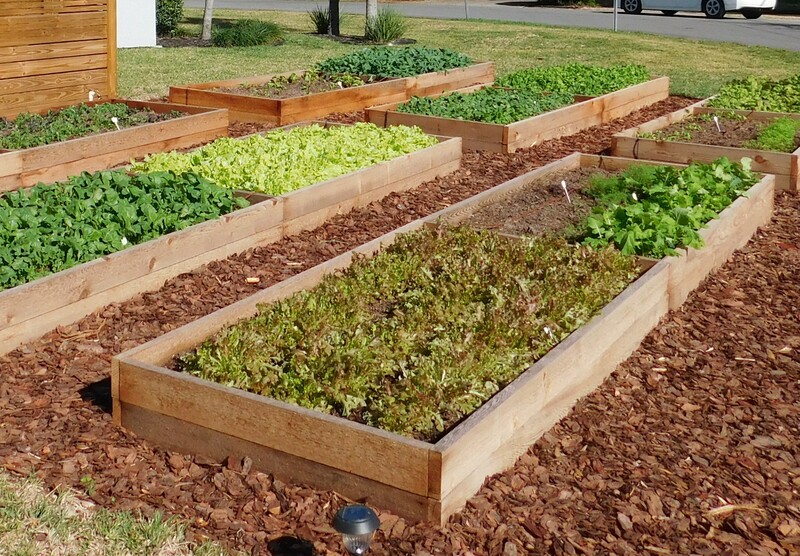 We seek to make it easy for Floridians to farm with an aesthetically, clean design raised bed. Schedule a consultation today. Please consider making a donation to help us cover the cost of providing this service, and one of our farmers will be happy to help you create a garden design that works for you. 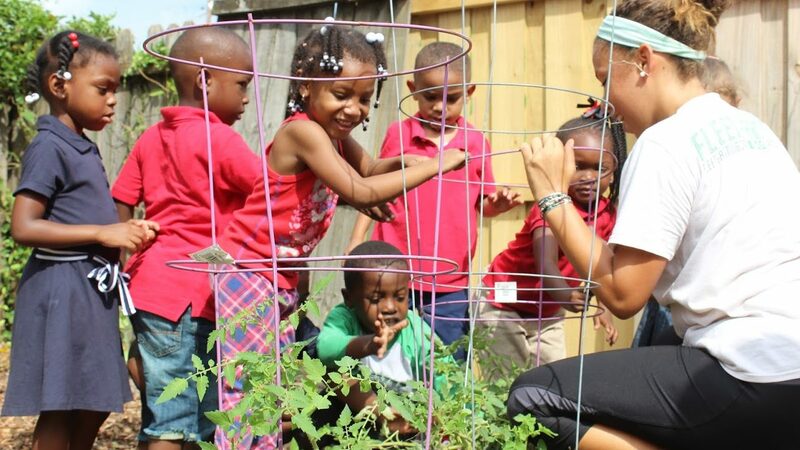 Join the growing community of front-yard farmers in the sunshine state. Have you ever wanted a vegetable garden but never had the background knowledge or bandwidth to do so? Not only does Fleet Farming offer maintenance, but raised bed installations can also be sold with education opportunities for schools, residents or anyone who would like to feel confident with their garden purchase. Fleet Farming is dedicated to reinforcing the skill-sets needed to grow your own food, while increasing food security to every community. We want to see every micro-farm thrive, so our team offers hourly maintenance services. Fleet Farming can come revive an overgrown raised beds, replace soil, seeds, or plants, and even offer education to your staff, family, or personal interest in farming. It is our honor to serve Orlando, Florida. Fleet Farming now offers Food Forests! This is an edible farm made up of fruiting trees, perennial vegetables, and other long term edible crops. 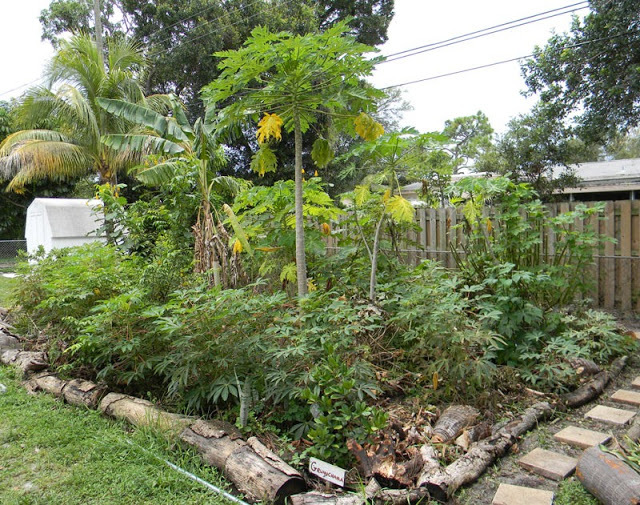 As part of the growing edible landscaping movement, Food Forests tend to be low maintenance and full of tropical / sub tropical plants such as banana, mango, avocado, perennial spinach, and more! Schedule a consultation for $50 deposit today. With the completion of an install, this fee will be deducted from the grand total. Contact us today to speak with an Install Manager about your future edible landscaping installation. 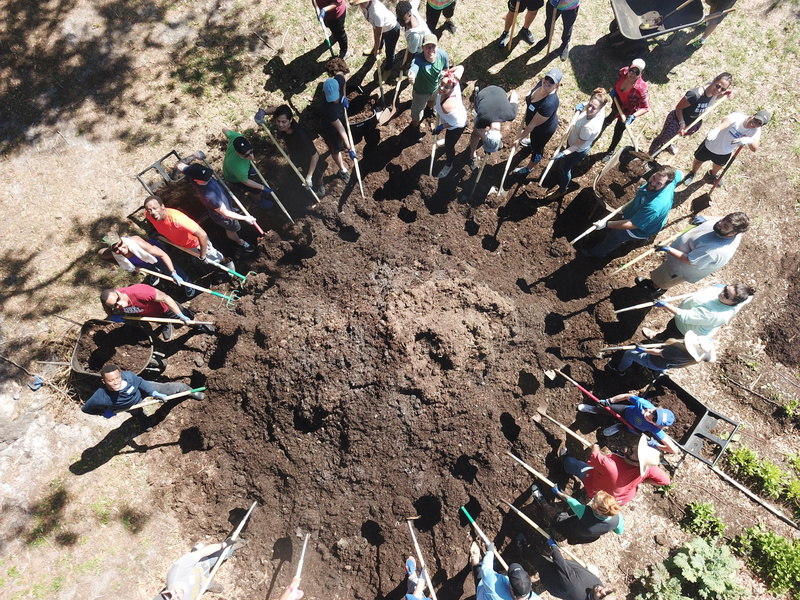 Promote corporate wellness by scheduling a private swarm farming event with us. We will happily host your company or organization at our beautiful farms, all in the effort of educating and empowering all generations to grow healthy, fresh food.